1. Download by tapping the app icon. The app then appears in the app menu on your mobile. 2. Open the app on your mobile. Log in with BankID or BankID on mobile the first time you do this. Now you can write to us through our secure messaging system Digital Mailbox. You will find it in the left hand menu. 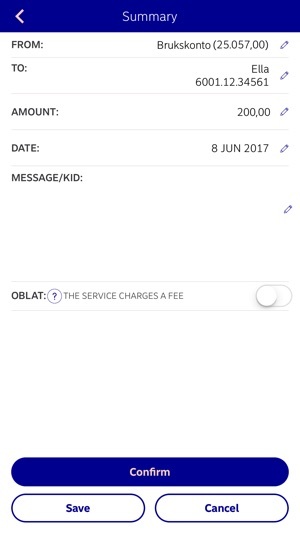 In Digital Mailbox you can also receive account statements, annual statements and more. 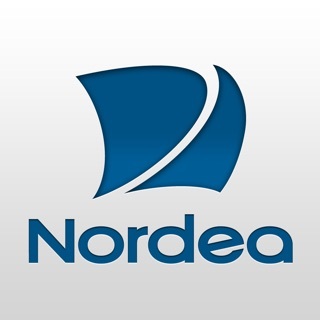 In Mobile Bank you will find Nora - our digital investment advisor. With Nora you can speed up your savings. In just a few minutes, we will give you a recommendation and you will be able to place your savings in Nora funds suited for your needs. 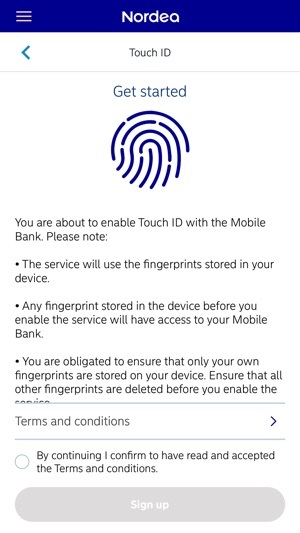 Fold out the Mobile Bank menu by pressing the menu icon at the top left. 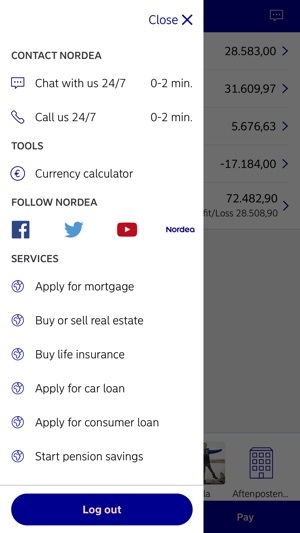 Press the menu item "Save and invest with Nora" under Services in the menu. You can now start saving with Nora. Fungerer OK men roterer ikke for optimal iPad-bruk. 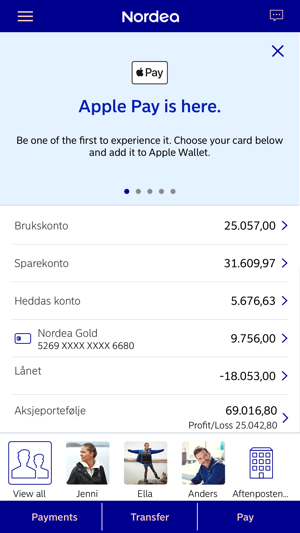 Alle mine andre bank-apper har denne funksjonen. 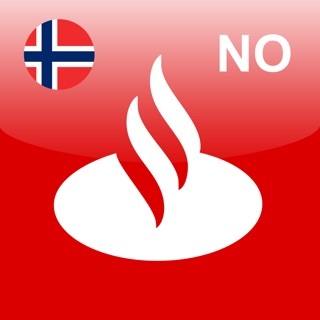 Jeg synes app’en er kjempe bra. 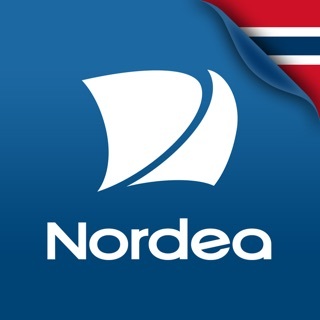 Den har alle funksjonene jeg trenger for å erstatte nettbank. Brukergrensesnitt har dog forbedringspotensial, spesielt bør man bruke en navigation manager slik at standard iOS gestures funker. 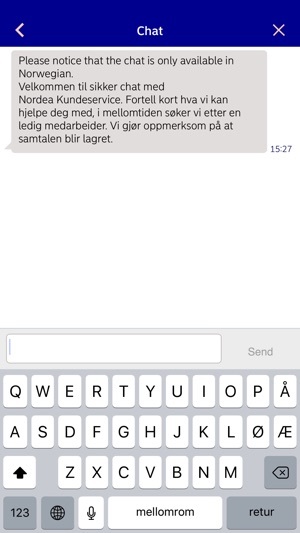 Det er irriterende å måtte trykke på tilbakeknapp i navbar isteden for å swipe fra venstre.